Hi! 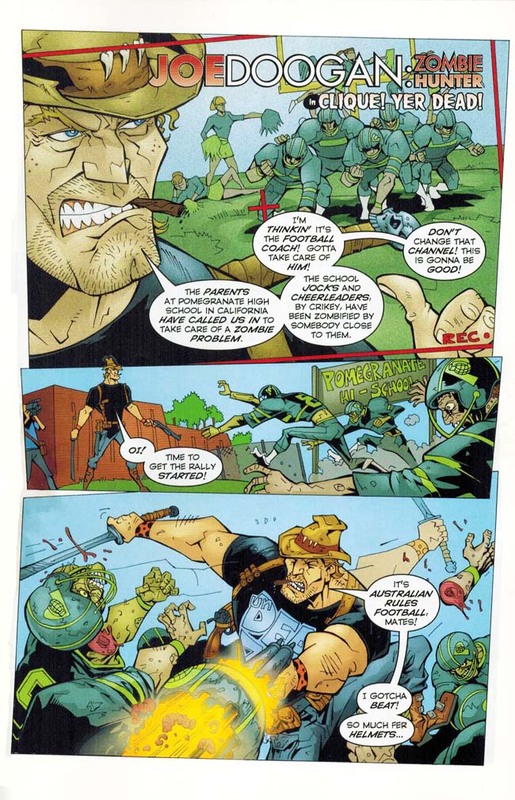 It's been like what...13 years ago...the last time you read a Joe Doogan story in the pages of DWP #28. That's sooo long ago! 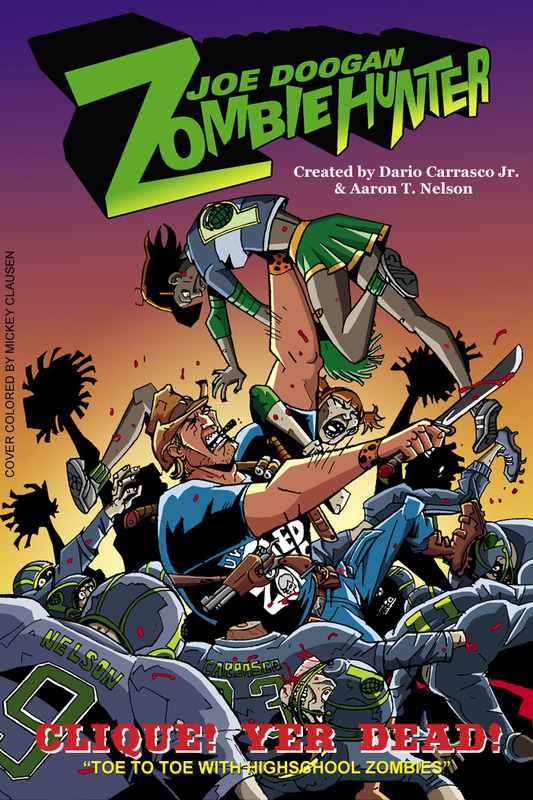 I wanted to share with you this exciting and hilarious take on Zombie Hunting as a TV spoof. 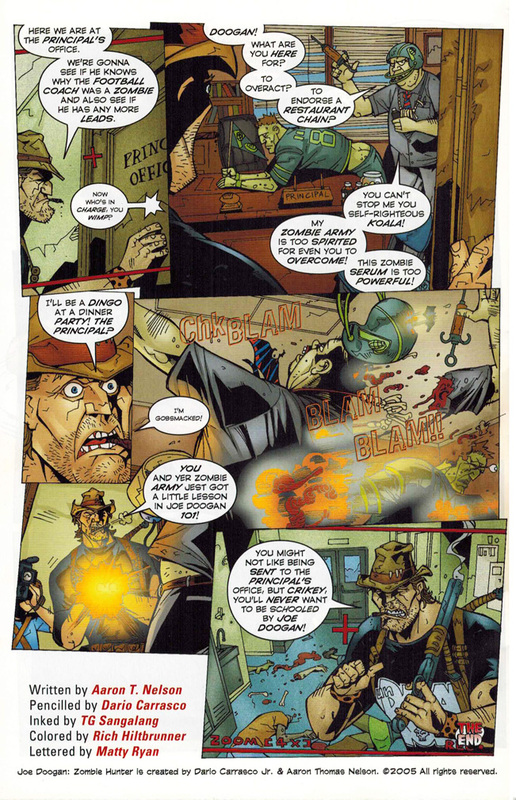 That was the idea behind Joe Doogan: Zombie Hunter that we brought to you. It's gory and funny! 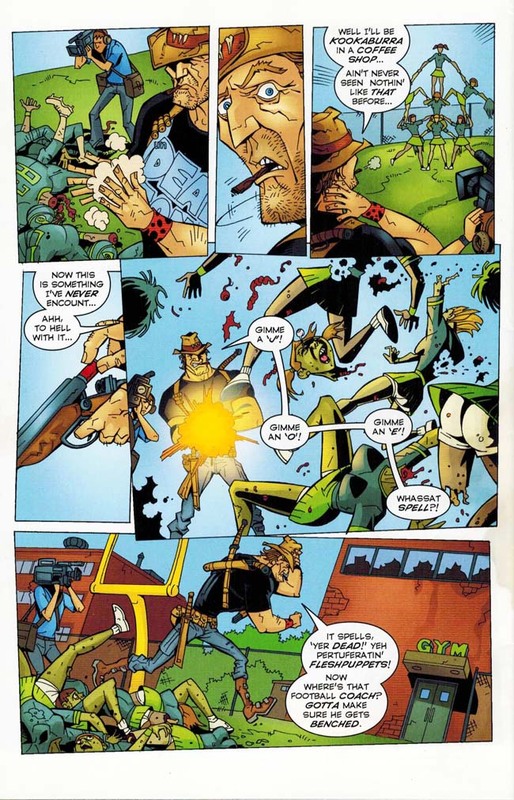 With Aaron (writing) and myself (pencils), with our crew TG (inking), Rick (coloring), Matty (lettering) and Mick (cover colors), we DARE you to read this short comics. That was a blast (pun intended)! Nice work! HAha! Here's a toast! Thanks Sevans!